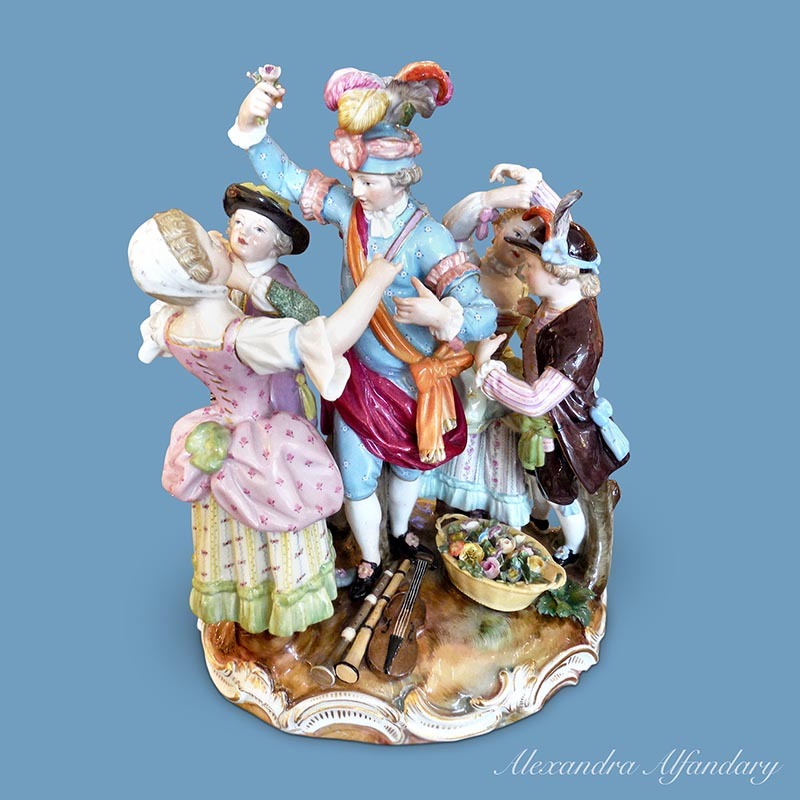 The highly decorative 19th century Meissen group with happy dancing figures, with the dance master to centre of group, all in colourful outfits, the modeller catching the mood and movement of the dancers, Meissen crossed swords to base, Meissen c1870-80. 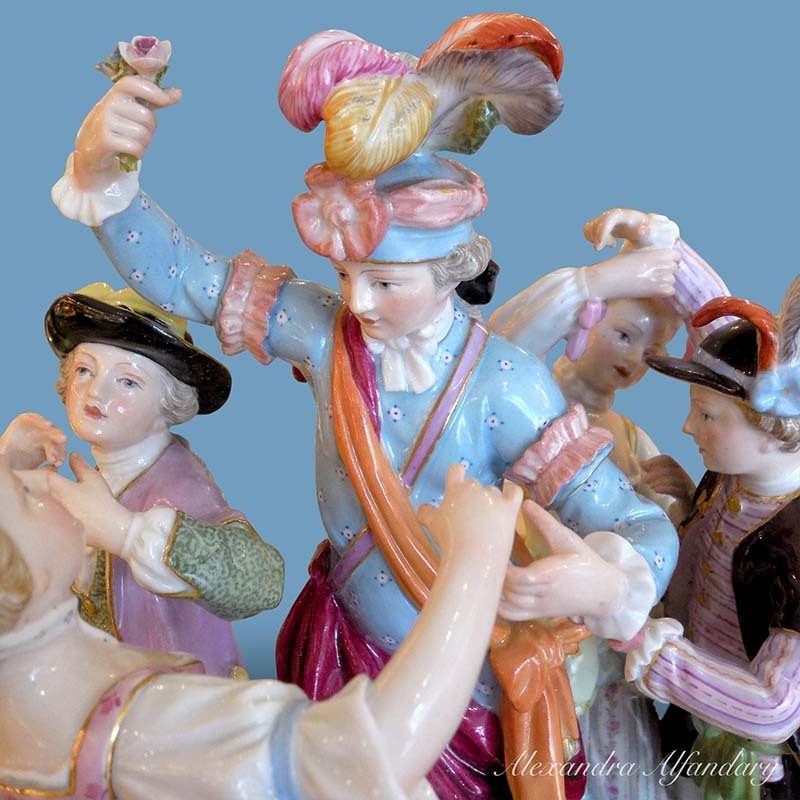 Please click on the images for an enlarged view. 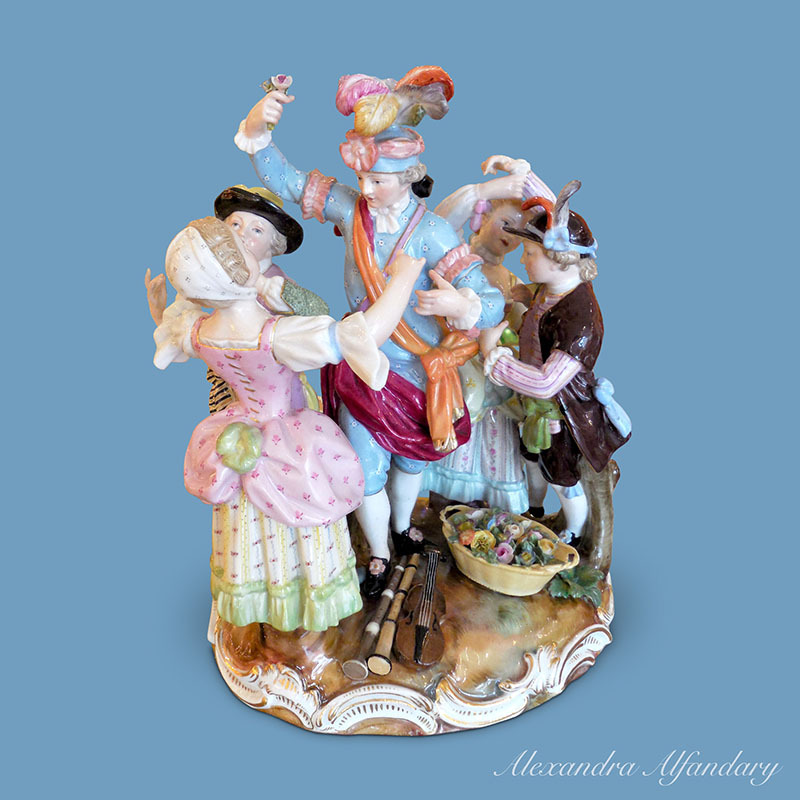 For enquiries please email alex@alfandaryantiques.co.uk. 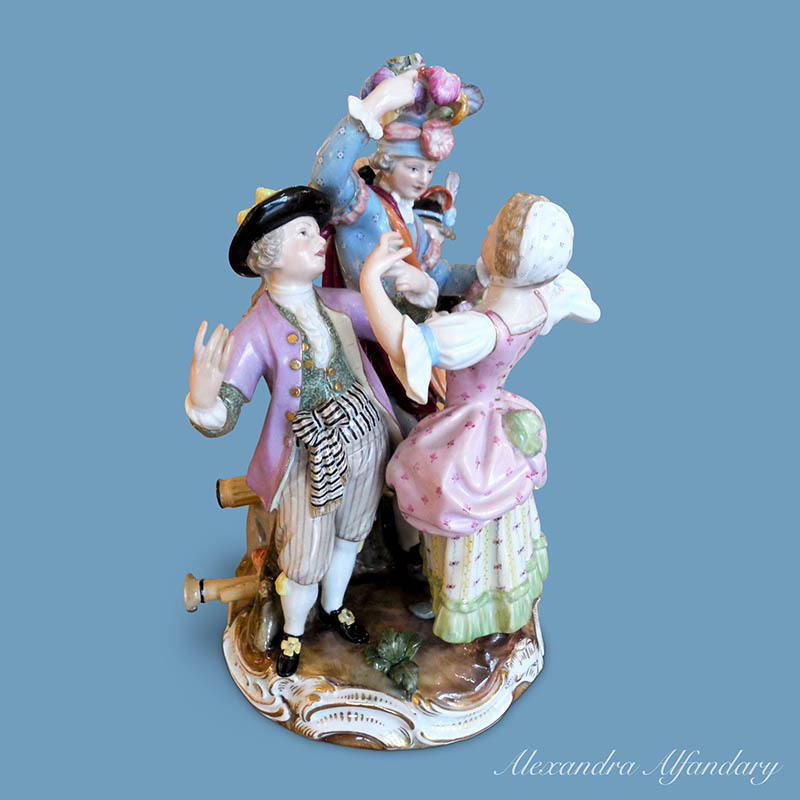 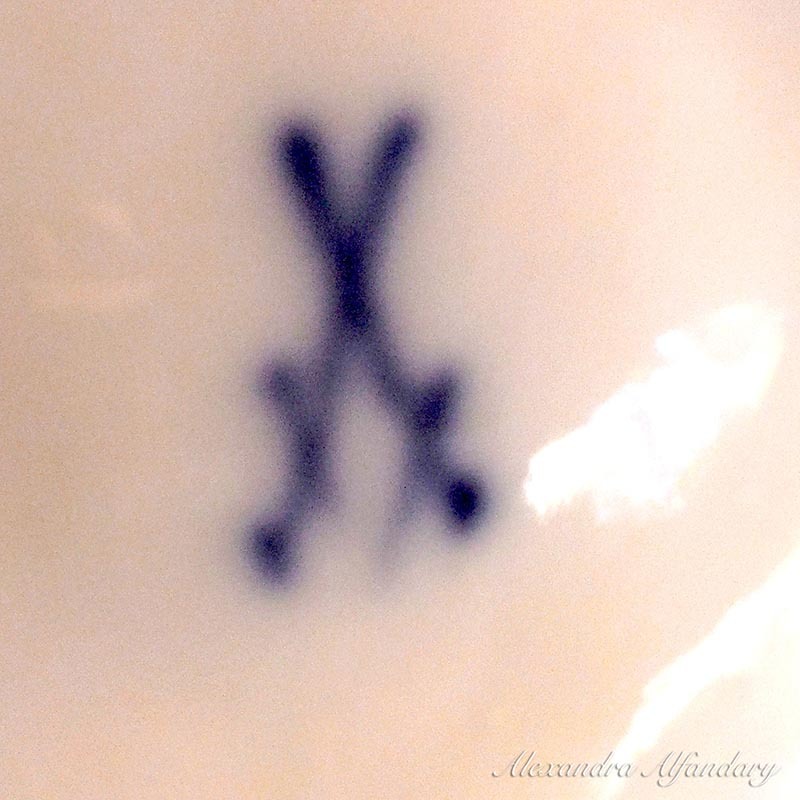 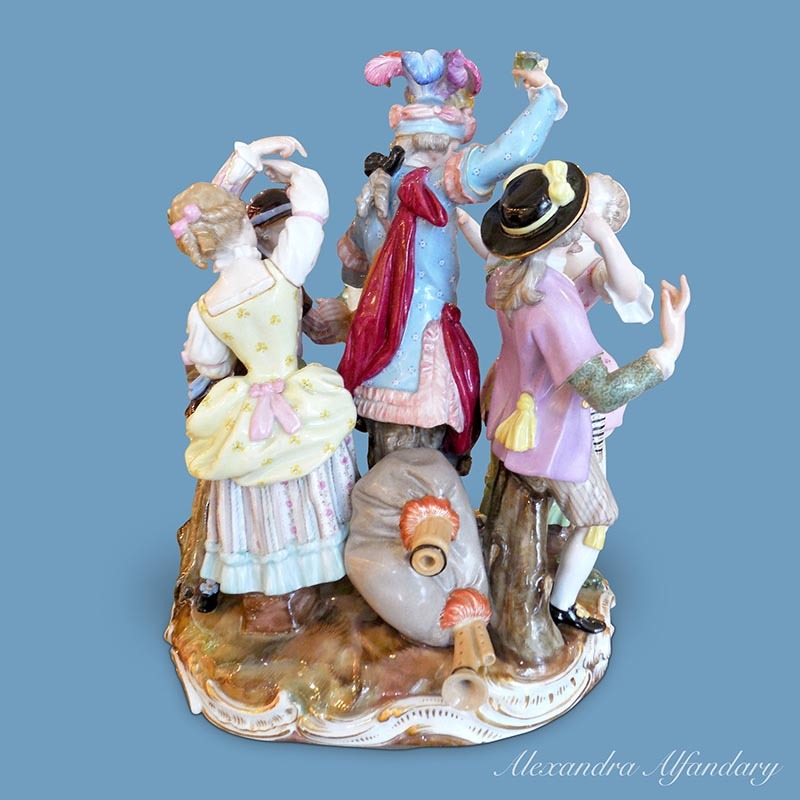 Alexandra Alfandary has been an active and enthusiastic dealer in antique Meissen Porcelain as well as other European Porcelain, including KPM plaques for over 40 years.